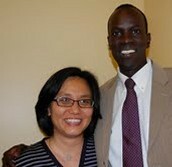 In the book, A Long Walk To Water, Linda bases the main character off this man, Salva Dut. 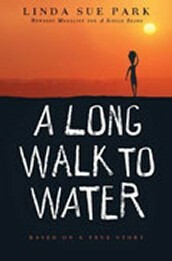 In A Long Walk To Water the most of the story is based in Southern Sudan in 1985. This book was published in 2010 by the amazing Linda Sue Park. "A Long Walk to Water is based on the true story of Salva, one of some 3,800 Sudanese "Lost Boys" airlifted to the United States beginning in the mid 1990s. Before leaving Africa, Salva's life is one of harrowing tragedy. Separated from his family by war and forced to travel on foot through hundreds of miles of hostile territory, he survives starvation, animal attacks, and disease, and ultimately leads a group of about 150 boys to safety in Kenya. Relocated to upstate New York, Salva resourcefully learns English and continues on to college. Eventually he returns to his home region in southern Sudan to establish a foundation that installs deep-water wells in remote villages in dire need of clean water. This poignant story of Salva's life is told side-by-side with the story of Nya, a young girl who lives today in one of those villages" (lindasuepark.com) This story should be read by everyone around because it has a great theme. Don't take what you have for granted because there are people that have it way worse. Not only should you read it because of the theme but you should read it because it will make you think differently about the world and how one person cam impact it greatly. "Cynthia Leitich Smith: Official Author Site and Home of Children's & Young Adult Literature Resources." 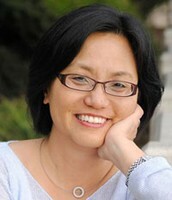 An Interview With Newbery Award Author Linda Sue Park. N.p., n.d. Web. 09 Nov. 2014. <http://www.cynthialeitichsmith.com/lit_resources/authors/interviews/LindaSuePark.html>. "A Long Walk to Water." A Long Walk to Water. N.p., 15 Nov. 2010. Web. 07 Nov. 2014. <http://www.lindasuepark.com/books/longwalk/longwalk.html>.